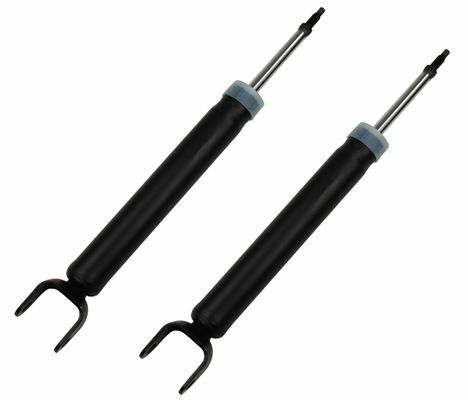 When it's time to replace the shock absorbers on your 2011 to 2015 Jeep Grand Cherokee WK, order a pair of these Mopar factory replacement shocks (Item # 68069671AE) from JustforJeeps.com. These are exact replacements for the original shocks on your Grand Cherokee so you know they'll give you the same ride and performance. The shocks are sold in pairs. These rear shocks fit Grand Cherokees with the standard suspension but are not for use on Grand Cherokees with rear load leveling or Quadra-Lift air suspensions.